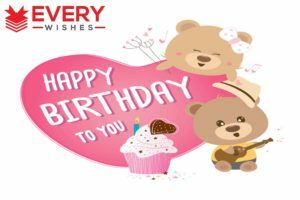 Want to make Facebook Birthday Wishes , looking inside all of the birthday cards to find the right one, prefer to send an e-Card to your friend on his or her special day, or even like making your own, there are many different ways you can make a message that is just the right to wish well for your friend. Here are some ideas to get you started. May your special day bring you sounds of happy laughter, warmth of smiling faces and feeling of being loved! No matter what happens I wish that you always find the way to stay positive, happy birthday! Happy birthday to a great friend, may the sun shine bright for you every single day! May your day as be wonderful as it can be, happy birthday! Happy birthday to you! I wish you lots of great opportunities and success in your road of life. On your special day I wish you lots of exciting and beautiful memories to remember! Forget the past, because nobody can change it. And also forget the present, because I did not get you anything… Smile, happy birthday! I will tell you a secret – you are going to get something really huge this year for your birthday… It is your new age, buddy! Congratulations on your birthday! If you don‘t mind I will eat some cake in honour of you on this special occasion! Have I told you that you are my favorite friend who was born today?! Congratulations on your Big Day! Let’s turn this Facebook wall into a Birthday Party! Whoo-hoo!!! Hey buddy, aren’t you way too old for having a Facebook profile? Happy birthday to you! May your joy be large and may your bills be small! Make a wish, blow all the candles on your birthday cake and let your wish come true! Happy birthday to you! Birthday is the amazing day when hundreds of people that you don’t really know, write congratulations on your Facebook wall and make you feel like a superstar! Happy Birthday, this day belongs to you! I wish you that all your loved ones would be near you on this special day, have a great birthday! My dear friend on your Big DayI wish that all the nice and amazing surprisesWould be flying your way! 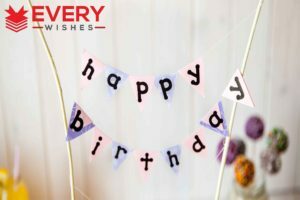 May your birthday be as special as you are special to all your friends in every way! Have a lot of fun and unforgettable moments on your day, friend! On your special day I wish you all the greatest things that you love most! May your birthday bring warm feelings to your heart, a smile to your face and success at every step! Your birthday is a perfect day to ask yourself the most important questions in life! Like: “How many pieces of cake can I eat and still fit into my underpants?” Wish you a very happy and very sweet birthday! May you be extremely happy and all your competitors know it! Hmm , I thought it is a fire.. but it turned out that it was just your birthday cake, congrats! One more year older… Well, it is better to think another way – you are just one more day older than yesterday. Have a lovely Birthday! Cheers to my best friend! Happy Birthday to you! As well as good friends, lots of laughter and joy that make your heart fly! May happiness, fun and success follow you today and every day! It doesn’t matter how old you really are, you look amazing on Facebook profile photo! Happy Bday to you! May your birthday be simply outstanding! May this birthday bring you good luck and fortune. May it bring you oodles of true love and friendship. Have an amazing birthday. Wishing you a birthday filled with sweet moments and wonderful memories to cherish always! Happy Birthday!!! Some like Sunday some like Monday, but i like your birthday.happy birthday my sweetheart. I send to you warm wishes,that your happiness will be as wonderful as the happiness, you have always given me. wish you happy birthday!!! Wishing you a Very Wonderful Birthday Along with Many Blessings to come though out the Year ahead Happy Birthday!! Wishing an amazing day and many great things to come to a wonderful person. Happy birthday. Thank you all for my Birthday wishes! You all are so sweet =) Many Blessings to y’all too! Hugs and kisses to all! THANK YOU to all my wonderful friends for your birthday wishes. My day is so much more brighter knowing that you’re all a part of it. Love you all. Wish you a very happy birthday my sweet sister..may You get all that You want in your life.& success always be yours. A birthday is a lovely flower that blooms in life’s gardenand may that special blossom be bright especially todayHAPPY BIRTHDAY!! Sending you Birthday WishWrapped with all my loveHave a VeryHAPPY BIRTHDAY…. Hope your birthday blossoms into lots of dreams come true! May today be filled with laughter and love. Happy Birthday and many happy returns of the day. May this day be the beginning of another beautiful year for you. May there be pleasant surprises, loads of joy and infinite happiness. Wish you a very happy birthday. Happy, Happy Birthday! I hope the day has been blessed with the presence of those you love most, and many magical moments! ♪♫•*¨*•.¸¸¸¸.•*¨*• ♫♪ Happy Birthday to you! ♪♫•*¨*•.¸¸ ¸¸.•*¨*•♫♪ Happy Birthday ♪♫•*¨*•.¸¸¸¸.•*¨*• ♫♪ to you! ♪♫•*¨*•.¸¸¸¸.•*¨*• ♫♪♫•*¨*Happy Birthday •.¸¸¸¸.•*¨*• ♫♪Happy Birthday to youuuuu!! !…..And many more! ♪♫•*¨*•.¸¸¸¸.•*¨*• ♫♪Happy Birthday!! I hope you have a VERY Happy Birthday!! I want the whole world to know it’s my special friend’s birthday, which is why I’m inscribing long life and prosperity wishes on your wall, for everyone to see! Happy birthday to a great and wonderful friend! May your day be filled with joy and great fun. And, may the future ahead of you be bright and better. Hello world, join me in jubilation, it’s my friend’s birthday today! Happy birthday to my sweet friend. I didn’t want to send you a birthday card because only you will get to see it. Instead, I chose to publish my best birthday wishes on your wall, so that the whole world can see it; The Best of Your Years are Still Ahead! Happy birthday, dearest friend. Hurray! Today is my friend’s birthday. May this special day be filled with joy and lots of goodies for you. Happy birthday to a wonderful friend. This is my opportunity to let everyone know that you’ve been a friend indeed! Happy birthday, dearest. I’ve waited patiently as birthday wishes kept pouring on your wall. Now that they are done sending their wishes, I’m super-imposing mine on all the wishes, so that it will forever stick on your wall and in your heart. Happy birthday to a very dear friend. Please, pay attention everyone! I have an important announcement to make on this special day; the birthday celebrant is a friend to hold and cherish forever, and I pledge my undying loyalty in front of you all, my witnesses from across the globe! Happy birthday to a friend indeed! There’s a friend who sticks closer than a sibling – this is the best way I can describe our friendship. Thanks for always being there. Best wishes on your birthday. Today is that special day I’ve long awaited, so that I can shout a thunderous hurray!!!!!!!!!!! Happy birthday to my bosom friend. My first port of call when I woke up this morning is your wall – that is because I couldn’t wait any moment longer to imprint my Best Birthday Wishes to You, my great and lovely friend! Birthdays are special days to celebrate with the special people in your life. Happy birthday, my dear friend. Happy birthday! 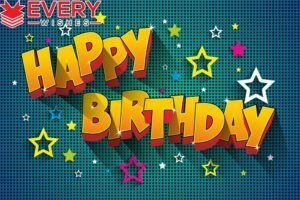 I wish you long life, blessings and a fun-filled day. Don’t let anything come in the way to obstruct this special day for you. Enjoy it to the fullest. Best wishes on your birthday. I join the rest of the world to wish you happy birthday and a prosperous future ahead! Remember, it’s once-in-a-year event, so ensure you maximize this day in a great and fun-filled way. Best birthday wishes. You will celebrate many more birthdays to come, in health and in wealth. Have a blast on your birthday. It’s a privilege to join the rest of your friends on this platform to say happy birthday. 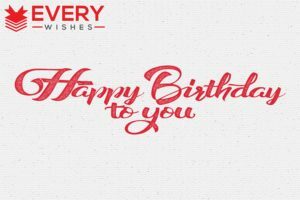 Writing on your wall is the best way to join the rest of the world to wish you a joyous and fun-filled birthday. Everyone is inscribing great birthday wishes on your wall today. I certainly can’t be left out. Happy birthday, long life and prosperity! May the joy of birthday sweep away every worry and anxiety on the way of your happiness. Have a splendid birthday. There’s great joy when a child is born. That joy comes back to being each time one marks a birthday. And, I pray that joy will continually govern your life! Happy birthday. Celebrate this special day in joy and peace. H.B.D. Don’t let anyone mess up this day for you, it’s special and unique. Have a fun-filled birthday. If you are 30+ today, it’s time to start putting money aside for anti-wrinkle treatment, because I’m not sure your insurance would cover that. Although you’re three decades old today, it’s still your birth day, right? So, it won’t be wrong if I say happy birthday baby, because you are born today! If anyone says your wrinkles are increasing, just tell them this; point of correction, they are fine lines, not wrinkles. Happy birthday! The older, the wiser. So, don’t be afraid of growing older. Happy birthday. Do you really plan to blow off candles today? Hmm, you had better ask all your friends to bring their hand fans along, to save you money from hiring the fire-fighting company! Best wishes on your birthday. Hey, don’t blow off the candles’ flame like others! Let’s join you to fan the flame instead, so that your path in life will keep shining brighter and brighter all the way! Happy birthday. Best Wishes to my Facebook bestie! 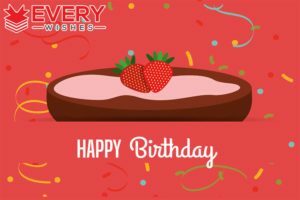 May your birthday be amazing! Sending a birthday message to the best person that I have met through Facebook! Your posts are always intelligent and kind! May your birthday be thought-provoking and full of compassion! May you know what a positive impact your presence has on other people! 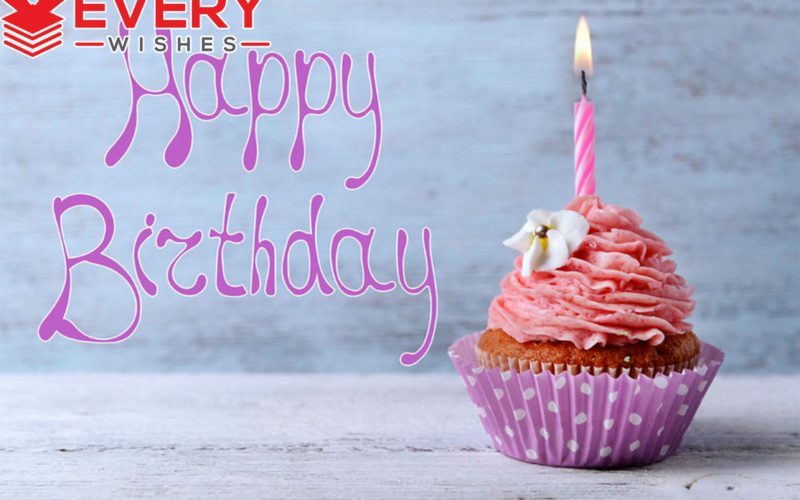 Wishing you a birthday that is widely celebrated on Facebook, among all of your friends! May your day be joyous! Happy Birthday to my incredible Facebook friend! I hope our connection remains strong and that you have an absolutely fabulous day! To me, you are more than just someone I met on Facebook! You are a true friend! Whenever I have need advice, or simply someone to chat with, you have been there! I hope that your birthday is wonderful, and that the people are you show you friendship and support! Noting the birth of a tremendous friend! Even though we have only interacted on Facebook, I feel that I know you well, and consider you to be an important person in my life! Today, I hope you see your significance and enjoy every minute of it! May the date of your birth be as momentous to you, as it is to all of your Facebook friends! May your awareness of how you light up social media be deeply felt! May you always remember this day! I am honored to be your Facebook friend! You are the type of person who constantly puts up relevant posts, for everyone to see. You are never false and only want to show everyone the truth! On your birthday, reflect on how much you are appreciated by those who follow you! Hoping that your birthday is as memorable as the posts that you share with me on Facebook! Have a fantastic day, friend! Happy Birthday to a Facebook friend who is truly the best! You were there for me, during a difficult time and I will never forget that! Your birthday holds a special place in my heart, and I will always be grateful for your continued friendship! Sending a Birthday message to a beloved, Facebook friend! It is always nice, when you are online! I hope your day is filled with laughter and good times! Friend, every day I am thankful that I added you on Facebook! You are a terrific person, whose boldness has urged me to do more with my life! Happy Birthday, to a brave and inspiring person! No matter what I have posted, you have understood it and stood by me! Happy Birthday, to a loyal, Facebook friend! Facebook Friend, may your day stand out above others! May you revel in every moment, having the best day of your life! Happy Birthday! As your Facebook friend, I get to communicate with you online, at various times of the day! While it is always great to be able to do that, today is even greater, because I get to wish you a Happy Birthday, and let you know that being in touch with you has improved my life! On this day, may the best changes in your life occur! May it be truly special! Happy Birthday, to my unique Facebook friend! There is no one else like you! May you hold this day close in your heart and mind! May every aspect of it be stupendous! As you mark your birthday, know that every friendship that you have holds meaning! Our being Facebook friends does not diminish the laughter we have shared and the tears that we have shed. Your birthday means as much to me, as if we knew each other, offline! Enjoy your day! Celebrating the existence of my Facebook friend! The noble and admirable person that you are comes through with each post that you share on Facebook! May your day overflow with admiration from others for you! Happy Birthday! Sending my very best wishes to a dear, Facebook friend! May this important day bring you happiness! May you receive all that you can ever hope for! Seeing you on Facebook always brings a smile to my face! I hope that you day brings a smile to yours, long after it is over! Happy Birthday! The best part about logging into Facebook is seeing what you have posted! You always have something positive to share with all of your Facebook friends! Because of this, I am wishing you a very, Happy Birthday! Our Facebook friendship has enriched my life! Reading your point of view on various topics has been educational and eye opening! May your birthday provide you with experiences that add to your life and continue to make you a well-rounded person! Facebook is better with friends like you on it! Happy Birthday to the funniest, sweetest, toughest person that I will ever know! Happy Birthday, to my greatest Facebook friend! May your day be exciting! May it give you more incredible memories to share! May it make everyone else go out and have incredible memories, as well! Dear Facebook friend, you are terrific! I hope that the date of your birth lives up to your high expectations! I hope that you get everything that you want, on this important day! Remembering the birthday of a great, Facebook friend! You are the one who makes all of us laugh with your funny memes and videos! May you be happy, not just today, but every day that follows! While Facebook is responsible for us finding each other, I believe that your loyal and kind nature is responsible for us becoming and remaining friends! Have a wonderful birthday! You deserve the best! Happy Birthday to someone who has shown me what it means to be a good friend! I am glad that I got to know you through Facebook! May this day be filled with many gifts for a person who is worthy of receiving them! I am happy to see that you still have enough Facebook friends to at least wish you a happy birthday. You aren’t 30. Your just 18 plus 12 years of madness. Oops! Did I just reveal what you were hiding all this while?! Happy birthday chum. Now since we are friends in real life too, I expect to get a party instead of a like and a stupid smiley face comment for my wishes! Buddy here’s wishing you another wonderful year of Facebook! Time to grow up and step into the real world chum. Enough of virtual wishes, time for a real party! So I see you have grown older and hopefully wiser since I just saw you changed that Justin Bieber cover photo of yours. Looks like someone is getting some attention after all these years of keeping their Facebook profile. I just read through other wishes on your wall and thought how in the hell did you manage to get so many friends to say so many nice things about you! People like you are the reason I am on Facebook. So stay alive and keep doing what you do! Despite the number of people you have posed with in your profile pictures, I am thankful that I am still one of your best friends. Birthday wishes for more such year together. Finally adding random people to your friends list has paid off today. Wishing you continue to increase you list! Here’s wishing happy birthday to a person who is intelligent, good looking and witty! No wait am I talking about you or me! True friend is someone who remembers your birthday as well as your age! So that they can threaten to reveal it when needed! So remember that I do remember! Happy -1 year from your life expectancy! Your time is running out mate. It’s about time you started doing other things except Facebook! I just saw birthday messages reminding you how young you are at heart and mind. Here’s reminding you how old you actually are! Happy birthday uncle! Hmmm! Here’s another one of birthday wishes to remind you, that you have survived this world! Birthday wishes for someone who is going one more year closed to the inevitable! Happy Birthday! Meeting you on Facebook was wonderful! I am so glad that we got to know each other and became friends! Enjoy your special day! Wishing my very, good Facebook friend a Happy Birthday! Hope that it is as sweet and fun as you are! 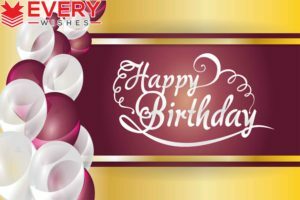 Today, we’re all hereTo celebrate someone dearEach one holding a golden penLike a ready-writer, women and menItching to inscribe best wishes on your wallTo let you know how special you are to allHappy birthday! A wonderful birthday to a wonderful person like you. May this special day of yours be filled with love and joy. Happy Birthday! I hope it is never too late to greet you a happy birthday. You may be miles away from me but my thoughts and prayers are always with you. I wish you good luck in your career and good life. Happy Birthday! Just wanted to say the happiest birthday and I hope I make you smile today. May this simple message touch your heart and bring you joy always. Have a jolly birthday and I hope everyone will enjoy. All great things start with great people who touch many lives. And because you are great, you deserve this warmest Wonderful Bday greeting. Prosperity and success are waiting for you. Have an awesome day and enjoy every minute of it. Happy Birthday! May God bless you with a good life and more birthdays to come? May He surround you with love and grace in every walk of your life? May his blessing be always upon you every day? Best Bday! I am sure you’ll have a fun-filled day today because many wonderful surprises are waiting for you. There is nothing you need to do but to accept each and everyone’s wish for you with a happy heart. Happy Birthday! Let God’s love be your shield, his hands are your healer, and his words be your bread every day. Happy Birthday to the most wonderful person I’ve ever known. My only wish is for you to be successful and may all your dreams be fulfilled. Wishing you success, happiness, and the good life for your birthday. Let this day be one of your most memorable birthday celebrations. Walk in faith every day and trust the Lord with all your heart. Happy Birthday!